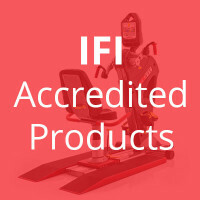 Hospitals, rehabilitation centers and therapy clinics worldwide have used SCIFIT equipment for over 25 years to meet the needs of their patients. With the most extensive line of rehabilitation equipment and programs, SCIFIT has a solution every step of the way to assist clinicians in maintaining and restoring maximum movement and function for their patients. Our equipment is easy to use, safe, comfortable and provides medical accuracy to coincide with the quality of care clinicians provide for their patients. SCIFIT makes a wide variety of products with a focus on upper body only, lower body only, and total body movements. The following products are preferred products by physical therapists, occupational therapists, chiropractors, and medical exercise specialists.